I strive to be both painterly and precise, so I consider myself to be a representational artist and do not present my subject matter too abstractly. I work predominantly in oil paint and also soft pastel, which I like because it pushes like paint. I try to explore light and complex values that exist in seemingly simple landscapes and everyday objects. I try to achieve new dimensions and vibrancy by layering color. I have always been interested in depicting light, so reflections in water, coupled with many years on the Maine coast, contribute to the ocean themes that I often am drawn to. I try to capture movement intensely and still evoke peacefulness through composition. I am fascinated by how much color is reflected in water and I am sure I will always paint water. In the same way that I explore the complexity of light, color and movement in water, I am drawn to marshes and the endless expanses of water paths and marsh grasses, as another subject matter. I feel very fortunate to have a passion and a love for painting. I am, before all else, an artist, and my craft has contributed in some way to every accomplishment in my life. 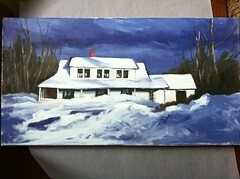 Sheila Davis has been an active representational artist and art teacher in New England for more than 30 years. 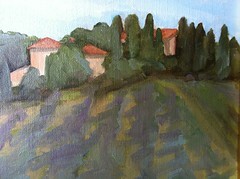 Her work includes landscapes, waterscapes and portraiture. Sheila’s work has been shown in New York at the Pastel Society of America, in Boston at the Copley Society, and in a variety of galleries throughout Maine and Massachusetts. Sheila has studied at the Art Institute of Boston, MassArt, and the Art Institute of Chicago and over the years has painted with several Boston artists. 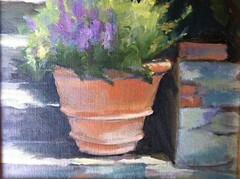 Sheila’s work is available in pastel, watercolor and oil. Giclee prints of her work are also available.